Drew Kampion has always been one of the most astute and intelligent observers of modern surfing. With over 10 books to his name, the former editor of SURFER, SURFING and the Surfer’s Path, has published a new tome on the life of Jack O’Neill, the legendary innovator behind surfing wetsuits and the founder of the Santa Cruz surf giant, O’Neill. Serge Dedina: You’ve documented the evolution of surfing since the 1960s. For you, what was the most innovative and exciting era? Drew Kampion: Definitely 1968-1970 … what could compare? So many converging impulses in that atmosphere of cultural upheaval and experimentation. Surfboard designs were changing by the week – by the day! 40 years on there are still people going back to some of those ideas and realizing that there had been no follow-through. So you see a re-exploration of concepts. The fact that the 40-some pros on the WCT (and the rest of the ASP and ISA circuits) ride boards that appear to be essentially cookie-cutter, in fact there are infinite varieties out there being ridden and tested, and each of them has its own little cult following and band of believers and all of that. Those thousands of little niches create the actuality of the surfing world. 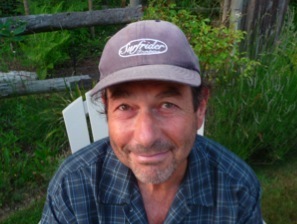 Dedina: Your tenure as the SURFING editor in the 1970s seemed to be the zenith of mainstream surf journalism for adults. Are surfers really interested in coherent and contextual reporting anymore? Kampion: I think so. In fact I’ve really, really enjoyed a lot of the surf writers over the past 20 or 30 years. I think surf writers are pretty good as a group –they tell good stories about adventures on the edge of things, they integrate environmental and naturalistic perspectives, they do a good job of enlarging our understanding of the sport and art and culture. I think the surf mags have done very well, even as ownership and management have shifted, the guys on the beach have stayed on mission. Thanks to them all! Dedina: Jack O’Neill seems to be one of the last generation of founding fathers and surf CEOs. Do you think in today’s world of multi-national surf companies that O’Neill’s success is even possible anymore? 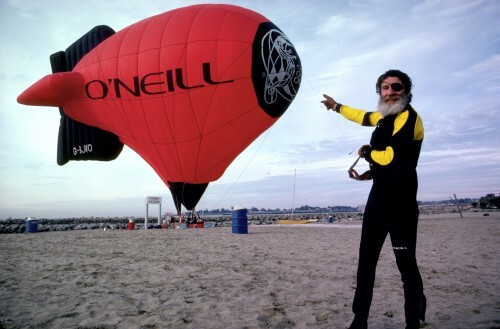 Kampion: Aside from an incomparable accumulation of innovations, inventions, and improvements in the world of wetsuits and related comfort-causing products, I’d say Team O’Neill was the big one. Largely Pat O’Neill’s baby, the Team O’Neill concept (an international roster of top riders who toured, marketed, competed, and partied together around the planet) really provided a template for what became modern pro surfing and also inspired the other big companies to follow suit. Team O’Neill arguably ignited the reality of career surfers with potential beyond the performance arenas. Dedina: Out of all the innovations that have spurred the progression of surfing, where does the development of modern wetsuits fit? Kampion: Well, it’s one of the top three probably, right up there with foam (which Jack pioneered too) and the leash (which Pat O’Neill helped create). 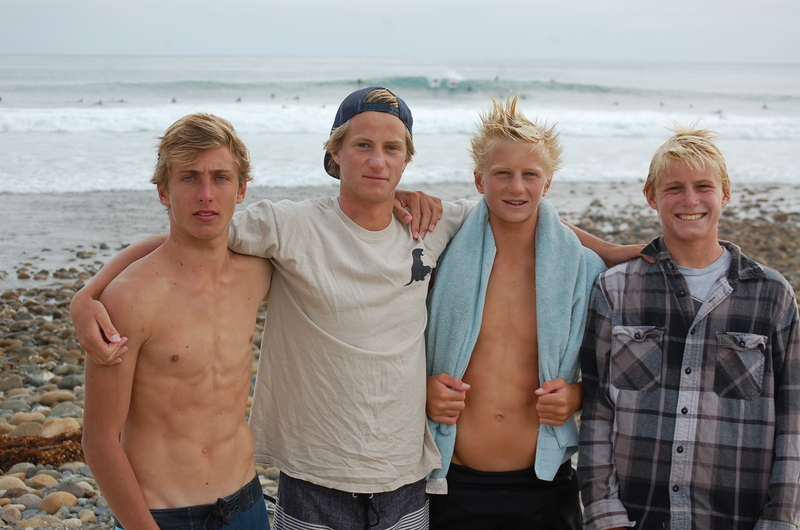 So, the O’Neill name is pretty essential in the evolution of surfing. Picture surfing without Jack and his kids, and the vision would be far more limited, I’d say. Dedina: How did the development of wetsuits and especially the commercialization of flexible, neoprene suits for surfing help advance modern surfing? Kampion: Without the wetsuit – and specifically the smooth-skinned neoprene wetsuit – surfing would be a far more limited, unknown, and warm-weather sport associated with certain parts of the world. As it is now, with the proliferation of the wetsuit and associated technological developments, surfing is a global sport that has participants in the northernmost points of Europe, America, and Asia, as well as the chill zones of Africa, South America, and Australia. Surfing (and a full range of other sports and activities) is a year-round global sport, in large measure due to the wetsuit. 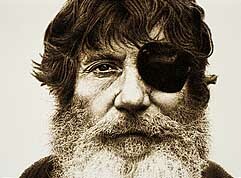 Dedina: Why did Jack O’Neill set out to create a surfing wetsuit? Kampion: Jack had been working in sales for several years following WWII, and he’d moved from Portland to San Francisco to work for an uncle in the fire-equipment business. Anyway, this kept him trapped in the downtown world most of the time, and Jack, being an adventurous spirit, was getting progressively more claustrophobic. His only escape was a drive down to the beach and a plunge into the Pacific. This was totally invigorating, and he was an excellent and dedicated bodysurfer, but there were limits to how long you can swim in that water without protection. So the cycle of “dive in, swim out, catch a wave or two, start shivering, get hypothermic, sprint back to the beach and the fire to warm up and do it all again” had (its) own frustrations, so… he began to think about ways to keep warm and thus be able to surf longer. First came bathing caps and wool sweaters, but when he saw a piece of PVC foam in a surplus store, a lightbulb went off, and he tried fitting pieces of the foam into his bunhugger trunks … and behold! At least that part of him was warm. So, one thing led to another, and soon he found neoprene and the rest is history. 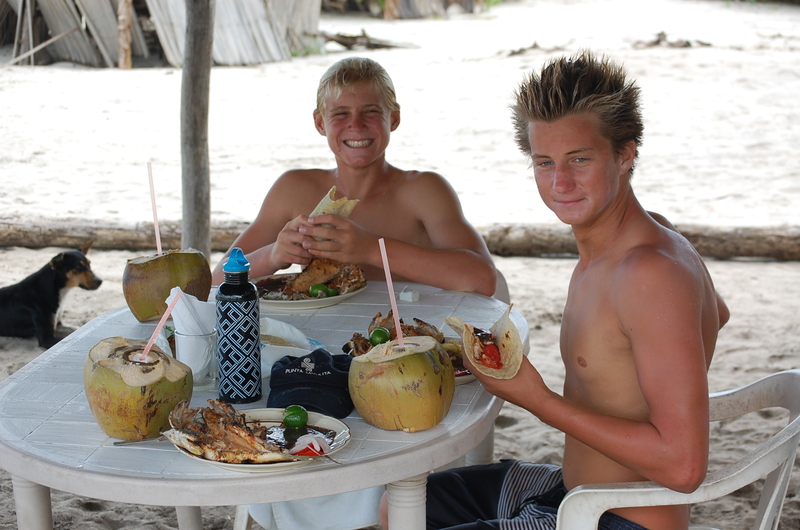 Dedina: Out of all of the surf personalities you have written about who stands out? And whose surfing stands out for you? Kampion: Well, I learned to surf (literally) in the shadow of Miki Dora. I was awestruck by the surfing and animal magnetism of Nat Young. I was blown away by the intricate artful sensibilities of Tom Curren. I was overwhelmed with the powerful insights and commitment of Titus Kinimaka, and on and on and on. Every one of the hundreds or thousands of surfers I’ve interviewed has been a unique pearl of human perfection, and each one I’ve appreciated in many ways, but I must say that it’s hard not to admit that Kelly Slater is the most impressive surfer (meaning a person whose central mission in life is riding waves) that I’ve encountered. He’s 40 years old, and he’s still the best. In fact, his mission may be to see how old the best can get. But Kelly is amazing on other levels too — interpersonally, heartfully, aesthetically.creatively — that it’s hard to see him as anything other than the culmination and fruition of numerous forces. I continue to follow his career with fascination, keeping one eye out for the amazing genius that will inevitably follow him. 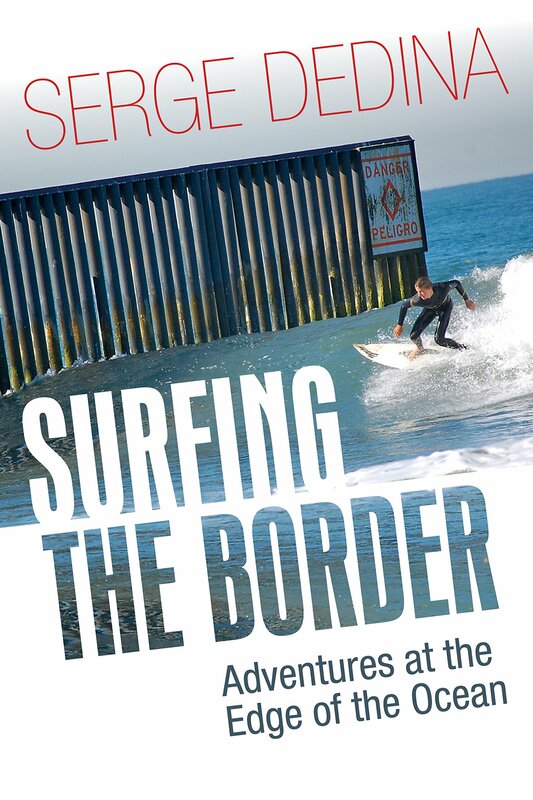 Dedina: Your book, Stoked: A History of Surf Culture, provides an excellent framework for understanding the world of surfing, but has surfing become too mainstream and too commercial to be considered a lifestyle or culture anymore? Kampion: An old friend of mine, who sold advertising in the surfing world, used to caution companies and clients, “Don’t forget to water your roots!” Meaning, don’t leave the beach to chase the dollar – you’ll regret it. Some big companies buy a surf brand and then see the brand go into immediate decline — because not only do they not water the roots, they don’t even know where the roots are! The fact the sport becomes mainstream or commercial only affects those that are affected by that. The core practitioners of the sport-art don’t change, they just move further out to the edges, where all of that in drowned out by the sound of moving water.